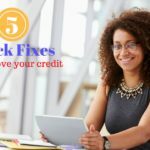 What's the Lowest Possible Credit Score? Dave Ramsey is famous for claiming that he has a credit score of zero, by which he means he avoids credit all together. But is it actually possible to have a credit score of zero? According to FICO spokesman Barry Paperno, the answer is “no.” FICO credit scores range from 300-850, so the lowest possible score is actually 300. What’s my credit score? To get that low, however, you’d have to do virtually everything wrong, and have no positive credit history whatsoever. As a quick example, Main Street highlighted a guy who had accumulated nearly $300k in debt due to a string of bad investments, experienced a foreclosure, gone on a debt management plan, and ultimately filed bankruptcy. His credit score never even got into the 300s. Rather, it bottomed out at 471. Of course, once you get down near 600 you’re pretty much screwed when it comes to securing credit, but still… It’s actually pretty hard to completely destroy your credit score. 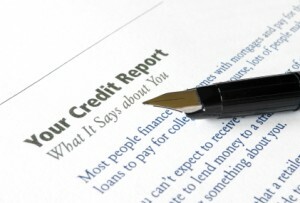 As I’ve mentioned before, your credit score is based on five main factors. These factors are your payment history, amounts owed relative to your available credit, length of your credit history, number of accounts, and types of credit used. In order to achieve a lowly 300, you’d have to bottom out in all five categories at once. Thus, according to Paperno, you’d have to be a new customer (so no history) and then do something like open a ton of new accounts (just one type), max them out in rapid succession, file bankruptcy, and then immediately apply for more accounts (of the same type). But you had better act fast, because having a credit history (even a negative one) is viewed as being at least slightly positive. Interestingly, while you can’t actually reach zero (or even 300, for all practical purposes), you can fail to qualify for a credit score. More specifically, FICO requires that you’ve had (and used) an account within the past six months in order to assign a score. Do you know your credit score? Get it for free in seconds at Credit Sesame. I just started building my credit (I’m 22). I’d have to disagree in part to the statement that once you near the 600s you’re screwed. My score started in the 500s, and I just saw it jump 94 points a couple weeks ago. It’s steadily been going up since then. 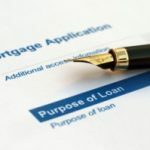 My husband and I were approved for financing and buying a new home last year. We were very surprised and happy by this. However, when we went a few months ago to try and buy a car from a dealership, they said we each had a score of 0, so it happened to me. Maybe the sales person just didn’t want to deal with us that day. Not sure as to why, as we had kept a check on our credit scores. Only one of the 3 main agencies did not show a score for me, not the case for my husband. So why would we be approved for a loan of $135,000 for a home, but not for a car that would cost under $30,000? It doesn’t make any sense. Neither of us has a credit card, so we don’t have that to worry about each month. No medical bills as my husband is a Disabled Veteran and uses the Veterans Administration for his healthcare need. Nickel: Would you care to post some advice for new immigrants to the US seeking to build a credit score. What sorts of financial actions do they take first? Open checking and savings accounts,… Next, what types of cards are available for immigrants to build a credit history – store credit cards, bank debit or credit cards, with and without borrowing limits. I’m under the impression that AMEX cards don’t have a stated limit. Mort) Capital One used to do the same trick: never reporting the credit limit, so FICO would use your highest historical balance as the max limit. This made it appear like you were maxed out (or close to maxed out), keeping the credit score artificially depressed. My mom had an 850 back in 2007, she wanted me to look over some loan docs cause she was thinking about taking a small mortgage out on her house. One of the loan docs had her at 850 from one of the credit reporting agencies. But a loan officer had moved into the house next door and worked her until she was convinced that she needed the extra money in the bank. So he got her to sign for a 100K first mortgage and a 50K equity line. Speaking of fico’s again, I had a 17K American Express card with a 3K balance, my fico was always around 720. Then when the financial crisis hit ( crime of the century )they slammed the limit down to the current balance. Now it looked as though I was utilizing 100% of my available credit and my fico went down. I have always read that our ficos were a reflection of our own financial choices, but now I know that’s just a lie. The banks always have control of your money, and your credit. BG: Yes, I would imagine that the “no score” is what he’s talking about, but it just sounds more dramatic to claim that he has a zero score. As for a perfect score of 850, I’m sure it’s theoretically possible, just like a 300 is theoretically possible. In fact, I’d think an 850 is more likely than a 300 as the overall distribution of scores is skewed toward higher values. I wonder if it is possible to hit 850? BTW: your last paragraph talks about “no score” — perhaps that is what DR is referring too. No use of credit of any kind, so he is not even in FICO’s system.